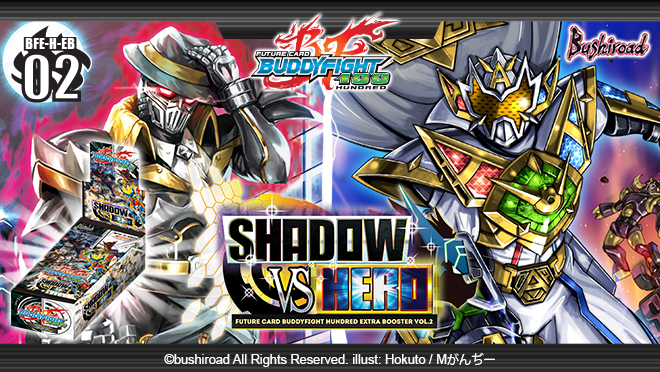 Suit up with BFE-H-EB02 [Shadow VS Hero] and get ready for the ultimate clash of powers! Get ready for the extreme showdown between the devious 《Darkhero》 and the mighty 《Superhero》 with the fate of the world at stake!! Join their adventures with the cards from this booster, and find the final Answer to your deck! Transform!! Gaigrander!!! This product contains only cards from <Hero World>! *The 5 SECRET include non-<Hero World> flags! 1 PR card will be randomly inserted into each display (3 types in total)!